Bring a plain sofa or chair back to life by using cushions that have a sense of luxury and colour. These timeless geometric Moroccan patterns never go out of trend and designers are always finding new ways to incorporate them within interiors to create focus points within rooms. The splash of green brings a sense of elegance and colour to this particular arm chair. Michelle has always been amazing at sewing, so she uses this to our advantage in any of our projects even within and around our own homes! We will always find a way of being money savvy, mostly with our creative and innovative outlook. Cushions can cost anything from £6 up, but finding something so unusual like these cushions for this price is another mission! Charity shops are amazing if you’re looking for unusual fabrics for a low cost, we have always found such beautiful fabrics and gems in them. It’s also good to try and have an open mind, for example there may be items at home which you could re-purpose and that could cost nothing, old garments such as knitted jerseys and cardigans are a great example in this instance and can so easily be re-purposed into cushions! -Give plain sofas or chairs a sense of interest by adding cushions that have a story or most importantly, colour! – Use your skills to your advantage and don’t be afraid to experiment. – You don’t have to be good at something to do it. It so simple to paint and revamp old pieces of furniture to create a refreshing and clean look in a room. Don’t be afraid to try something new. There is always a first for something! Sometimes it’s the small things like this that really make your room stand out from others and give it a unique selling point. -Be open minded about what you can realistically afford. Can you afford to purchase that new piece of furniture that you think is going to drastically improve the sale of your home? Or, do you have a piece of furniture you could paint up to freshen up the room and instead use the money to invest in giving your home a new lick of paint? -Prioritise and prioritise some more. Anything that means less work for when your potential buyer moves in, is a good selling point! 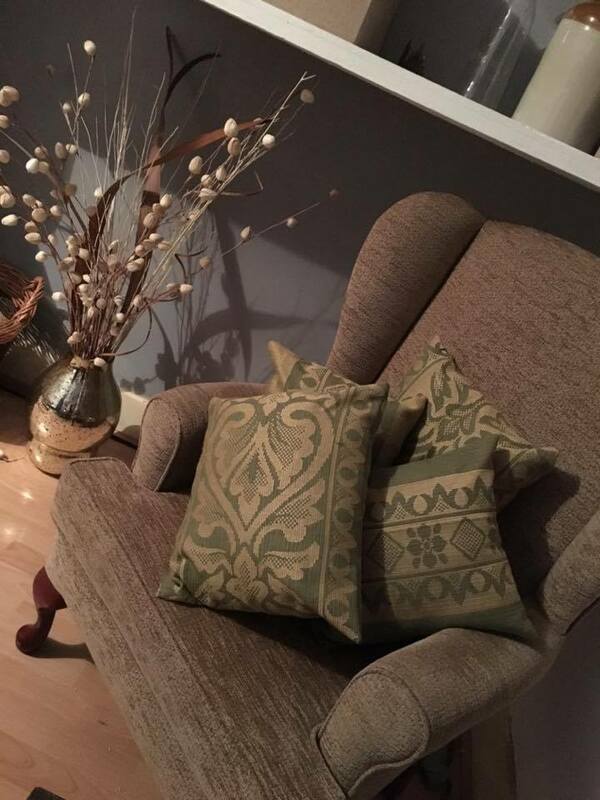 – If you’re good at sewing and you enjoy it, then why not try creating cushions like Michelle, if you end up loving them, you can always take them with you when you move! -Have an open mind about possibilities and what is achievable within your budget, the sky is your limit! You can do it!